Watching movies or documentaries about sustainability by yourself can be quite daunting or even depressing. Nyenrode’s Alumni Circle for Sustainability organizes events in the Netherlands to bring people together to share insights and discuss sustainability topics. So on March 21, 2017, a diverse crowd of students, alumni, as well as other sustainability enthusiasts and professionals watched Leonardo DiCaprio’s Before the Flood together at Nyenrode. 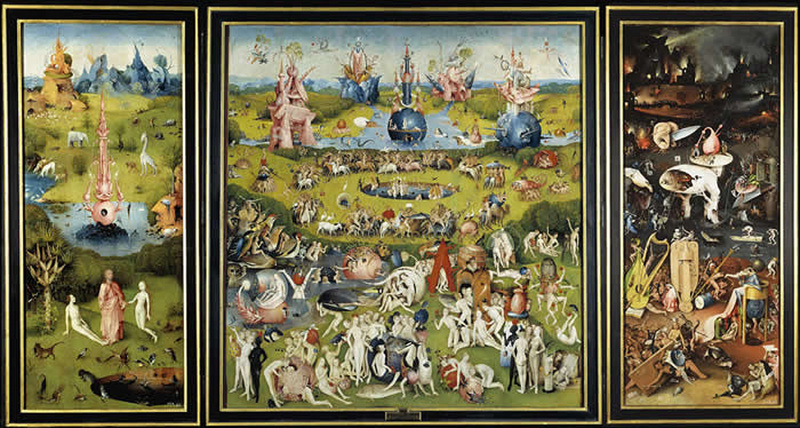 Throughout the movie, DiCaprio refers to the triptych The Garden of Earthly Delights by Hieronymous Bosch. It starts with an idyllic panel depicting the creation of planet earth and everything on it. The middle panel seems nice at the top, with man and nature coexisting, but then further down, the balance is clearly disturbed. According to the movie website: “Humans take creation into their own hands and turn away from the natural order. People are consuming the abundance given to them with abandon, completely impoverishing the planet.” The final panel shows the devastating results of taking more than the earth can regenerate. The movie’s narrative suggests we’re currently at the brink of disaster, between the second and third panel. Leonardo DiCaprio’s own quotes looked at climate change from his perspective as an actor. The first quote is from the beginning of Before the Flood. The last quote is from his speech addressing the heads of state at the United Nations Assembly. I’m an actor, I pretend for a living, but we can’t look at climate change the same way. Climate change is not a movie. We can control what we do next. It’s terrifying and a real shame towards future generations. We had the means but lacked the political will to act. There’s reason for hope, but that’s not enough. We need to go beyond promises and can no longer hide behind talks, excuses and lobbies. The world is watching. Watching the movie together was still daunting, yet the discussion in the room afterward presented new points of view and hope. Joost Brinkman, leader of the sustainability services team at Accenture for the Benelux countries, shared his personal reflection on the movie and encouraged everyone in the room to talk to people sitting near them about the impact of the movie. Some found the movie too overwhelming, raising the urgency yet lacking solutions and a clear call to action. Others felt that Leonardo DiCaprio’s message provided a “reassuring lie” of not having to change our lifestyles in Western countries. As there’s nothing reassuring about where we’re at, it’s all an inconvenient truth. Yet, most felt a need to do something after the movie, using the movie or other means to raise awareness and a stronger sense of urgency among their friends and networks. And to stay connected to share solutions and to keep up the urgency. 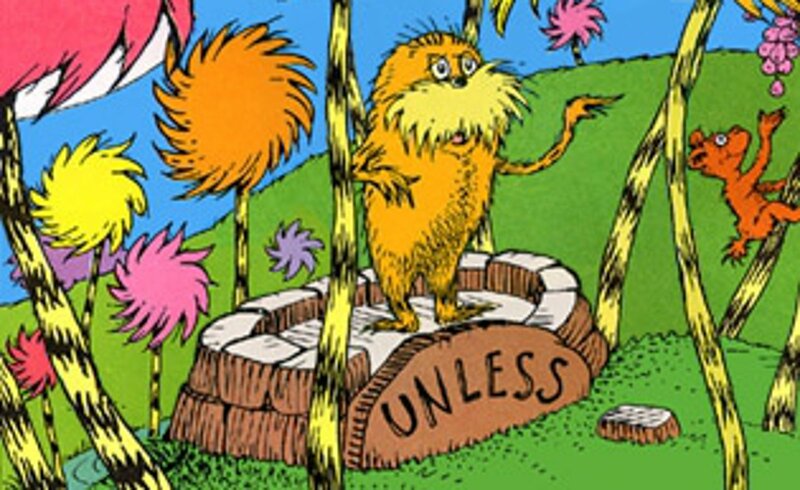 “But now,” said the once-ler, “now that you’re here, the word of the Lorax seems perfectly clear. 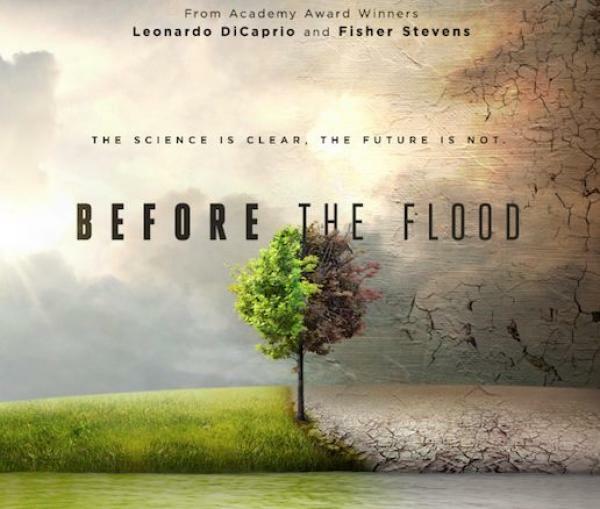 This screening of Before the Flood was the second movie night hosted by the Nyenrode Alumni Circle for Sustainability. To watch the film (again), check out the options on the movie website. A shorter version of the movie is available for free via Vimeo. During the first movie night, Renée Scheltema presented her solution oriented, award-winning documentary Normal is Over. Adapted from the original blog written for Nyenrode Business University’s alumni website, written by Marjolein Baghuis (@mbaghuis). To read about interesting people, book reviews and other posts about sustainability, change, and communications please subscribe to the Change in Context blog. Incremental behavior change - does it add up? If you don’t make mistakes, you aren’t really trying.